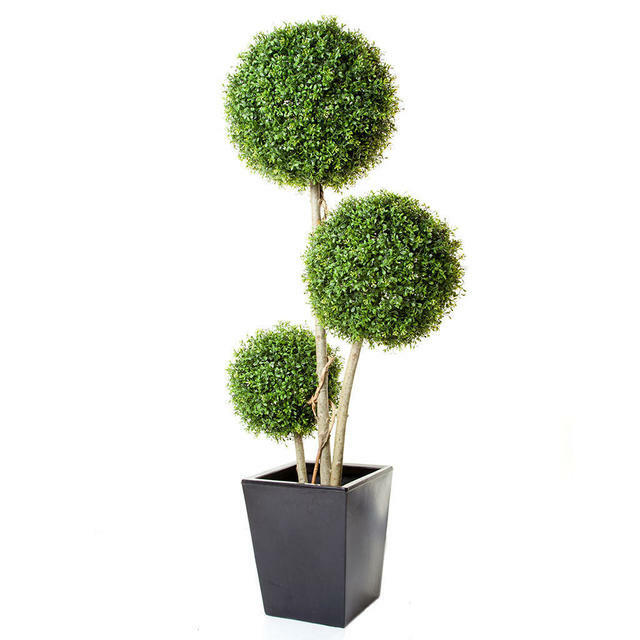 Make a striking statement with gorgeous box ball trees. These high quality faux boxwood (buxus) trees make an impressive statement either inside or outside. The boxwood trees are suitable for both interior and exterior use. 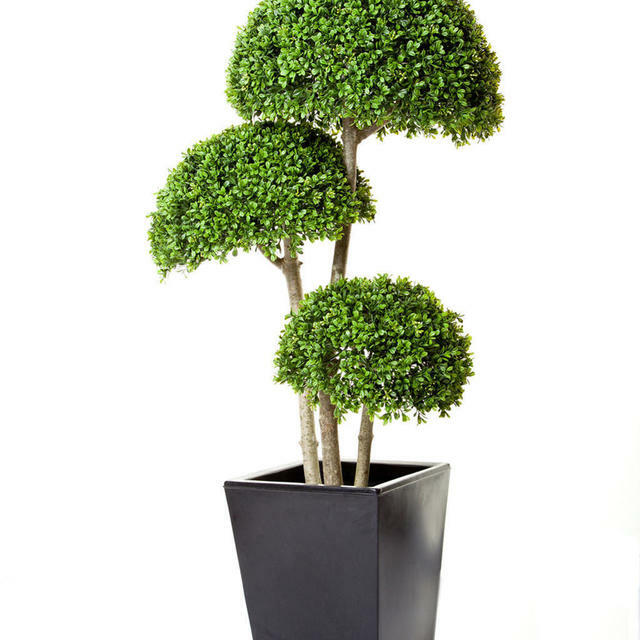 The trees come in a simple small pot, they look stunning when positioned in a black or zinc coloured planter, use compost or soil to hold tree in place and dress with gravel or pebbles on the top. The 3-ball, 3 stem boxwood tree is 5 foot/150cm tall. 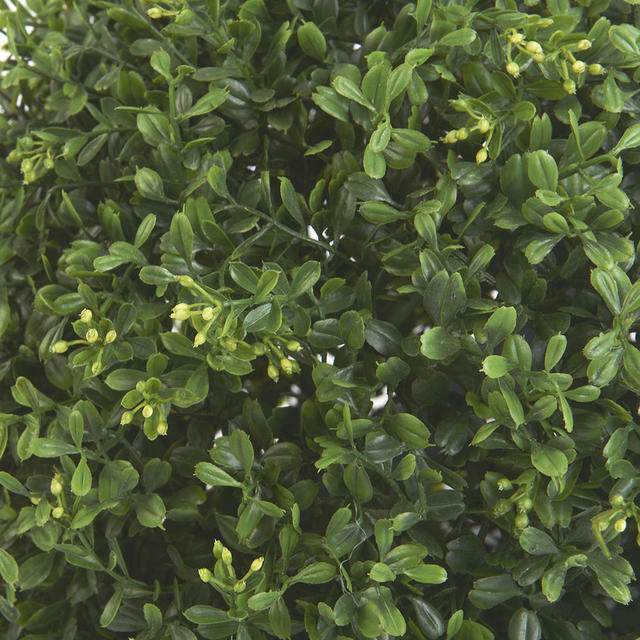 The 3 half-ball, 3 stem boxwood tree is 4foot/120cm tall. NB: The planter shown is not included with the tree. 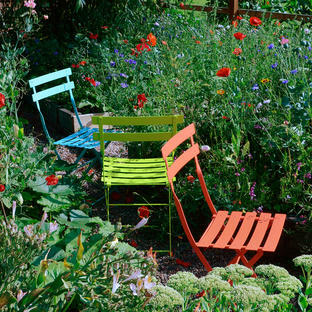 See our selection of planters. 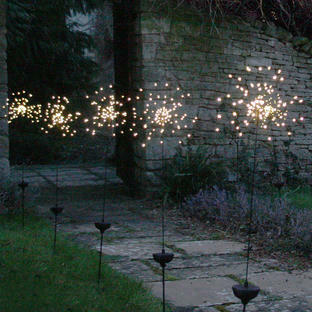 Please contact us if you require a bespoke tree to be made fit your individual requirements on 0345 605 2505.